The O’Reilly Data Show Podcast: Sharad Goel and Sam Corbett-Davies on the limitations of popular mathematical formalizations of fairness. In this episode of the Data Show, I spoke with Sharad Goel, assistant professor at Stanford, and his student Sam Corbett-Davies. They recently wrote a survey paper, “A Critical Review of Fair Machine Learning,” where they carefully examined the standard statistical tools used to check for fairness in machine learning models. It turns out that each of the standard approaches (anti-classification, classification parity, and calibration) has limitations, and their paper is a must-read tour through recent research in designing fair algorithms. We talked about their key findings, and, most importantly, I pressed them to list a few best practices that analysts and industrial data scientists might want to consider. Sam Corbett-Davies: The problem with many of the standard metrics is that they fail to take into account how different groups might have different distributions of risk. In particular, if there are people who are very low risk or very high risk, then it can throw off these measures in a way that doesn’t actually change what the fair decision should be. … The upshot is that if you end up enforcing or trying to enforce one of these measures, if you try to equalize false positive rates, or you try to equalize some other classification parity metric, you can end up hurting both the group you’re trying to protect and any other groups for which you might be changing the policy. The O’Reilly Data Show Podcast: Aurélie Pols on GDPR, ethics, and ePrivacy. In this episode of the Data Show, I spoke with Aurélie Pols of Mind Your Privacy, one of my go-to resources when it comes to data privacy and data ethics. This interview took place at Strata Data London, a couple of days before the EU General Data Protection Regulation (GDPR) took effect. I wanted her perspective on this landmark regulation, as well as her take on trends in data privacy and growing interest in ethics among data professionals. GDPR is not an end point. It’s a starting point for a journey where a balance between companies and society and users of data needs to be redefined. Because when I look at my children, I look at how they use technology, I look at how smart my house might become or my car or my fridge, I know that in the long run this idea of giving consent to my fridge to share data is not totally viable. What are we going to be build for the next generations? In this episode of the Data Show, I spoke with Andrew Burt, chief privacy officer at Immuta, and Steven Touw, co-founder and CTO of Immuta. Burt recently co-authored a white paper on managing risk in machine learning models, and I wanted to sit down with them to discuss some of the proposals they put forward to organizations that are deploying machine learning. Some high-profile examples of models gone awry have raised awareness among companies for the need for better risk management tools and processes. There is now a growing interest in ethics among data scientists, specifically in tools for monitoring bias in machine learning models. In a previous post, I listed some of the key considerations organization should keep in mind as they move models to production, but the report co-authored by Burt goes far beyond and recommends lines of defense, including a description of key roles that are needed. Andrew Burt:I would say the big takeaway from our paper is that lawyers and compliance and privacy folks live in one world and data scientists live in another with competing objectives. And that can no longer be the case. They need to talk to each other. They need to have a shared process and some shared terminology so that everybody can communicate. Privacy-preserving analytics is not only possible, but with GDPR about to come online, it will become necessary to incorporate privacy in your data products. In this post, I share slides and notes from a talk I gave in March 2018 at the Strata Data Conference in California, offering suggestions for how companies may want to build analytic products in an age when data privacy has become critical. A lot has changed since I gave this presentation: numerous articles have been written about Facebook’s privacy policies, its CEO testified twice before the U.S. Congress, and I deactivated my mostly dormant Facebook account. The end result being that there’s even a more heightened awareness around data privacy, and people are acknowledging that problems go beyond a few companies or a few people. We tend to talk about data privacy in the context of security breaches, but there are many instances when privacy violations involve people who have been granted access to data. The growing number of connected devices enabled to collect data means our most sensitive data—see this article on smart homes—are being gathered and monetized. Concerns about the use of data privacy cuts across cultures. As someone who travels to China, I can attest that users there are just as concerned about how companies are using their data. It is true that regulators across the world are approaching data privacy in different ways. To the extent that many companies conduct business in the EU, the upcoming General Data Protection Regulation (GDPR) will influence how organizations across the world build and design data services and products. 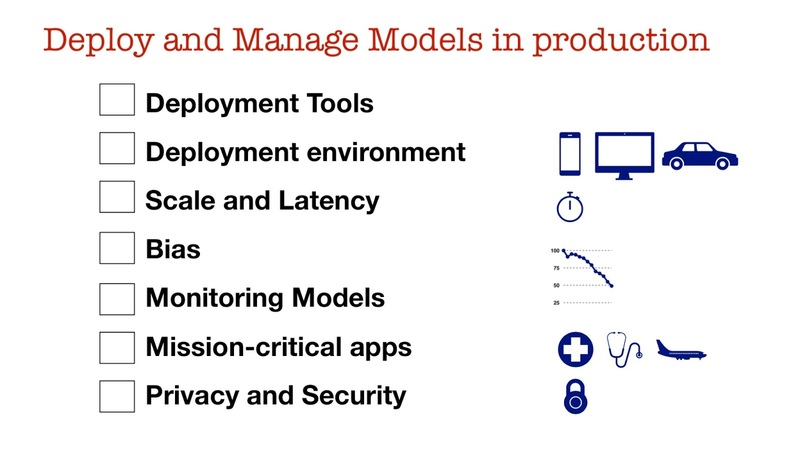 Which brings me to the main topic of this presentation: how do we build analytic services and products in an age when data privacy has emerged as an important issue? Architecting and building data platforms is central to what many of us do. We have long recognized that data security and data privacy are required features for our data platforms, but how do we “lock down” analytics? Once we have data securely in place, we proceed to utilize it in two main ways: (1) to make better decisions (BI) and (2) to enable some form of automation (ML). 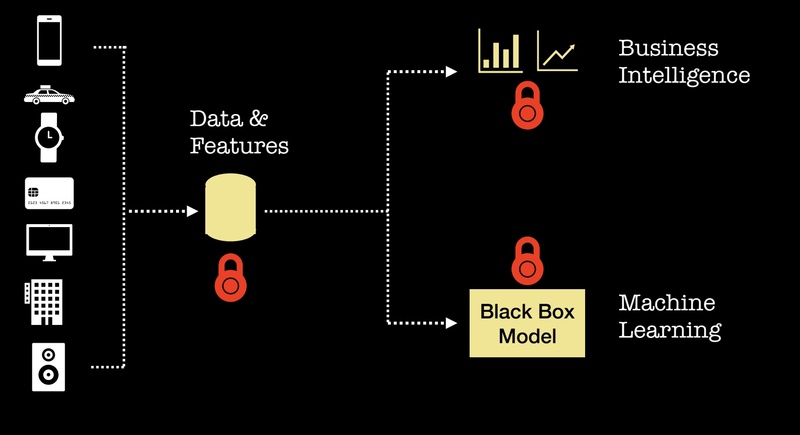 It turns out there are some new tools for building analytic products that preserve privacy. Let me give a quick overview of a few things you may want to try today. The O’Reilly Data Show Podcast: Guillaume Chaslot on bias and extremism in content recommendations. In this episode of the Data Show, I spoke with Guillaume Chaslot, an ex-YouTube engineer and founder of AlgoTransparency, an organization dedicated to helping the public understand the profound impact algorithms have on our lives. We live in an age when many of our interactions with companies and services are governed by algorithms. At a time when their impact continues to grow, there are many settings where these algorithms are far from transparent. There is growing awareness about the vast amounts of data companies are collecting on their users and customers, and people are starting to demand control over their data. A similar conversation is starting to happen about algorithms—users are wanting more control over what these models optimize for and an understanding of how they work. I first came across Chaslot through a series of articles about the power and impact of YouTube on politics and society. Many of the articles I read relied on data and analysis supplied by Chaslot. We talked about his work trying to decipher how YouTube’s recommendation system works, filter bubbles, transparency in machine learning, and data privacy. We need to build machine learning tools to augment our machine learning engineers. In this post, I share slides and notes from a talk I gave in December 2017 at the Strata Data Conference in Singapore offering suggestions to companies that are actively deploying products infused with machine learning capabilities. Over the past few years, the data community has focused on infrastructure and platforms for data collection, including robust pipelines and highly scalable storage systems for analytics. According to a recent LinkedIn report, the top two emerging jobs are “machine learning engineer” and “data scientist.” Companies are starting to staff to put their data infrastructures to work, and machine learning is going become more prevalent in the years to come. 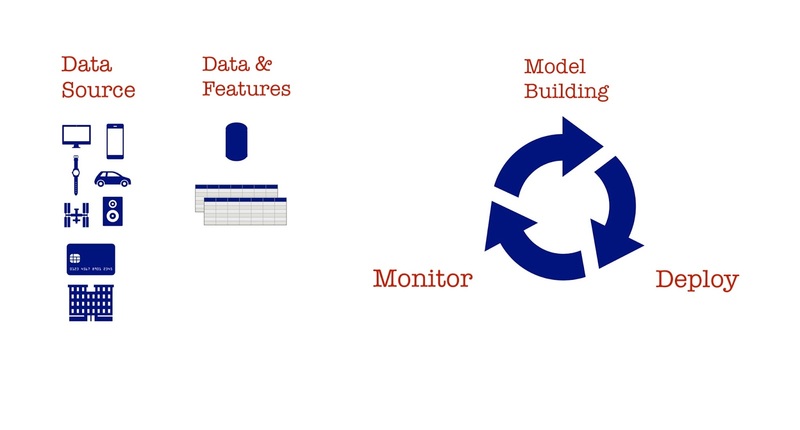 As more companies start using machine learning in products, tools, and business processes, let’s take a quick tour of model building, model deployment, and model management. It turns out that once a model is built, deploying and managing it in production requires engineering skills. So much so that earlier this year, we noted that companies have created a new job role—machine learning (or deep learning) engineer—for people tasked with productionizing machine learning models. Modern machine learning libraries and tools like notebooks have made model building simpler. New data scientists need to make sure they understand the business problem and optimize their models for it. In a diverse region like Southeast Asia, models need to be localized, as conditions and contexts differ across countries in the ASEAN.